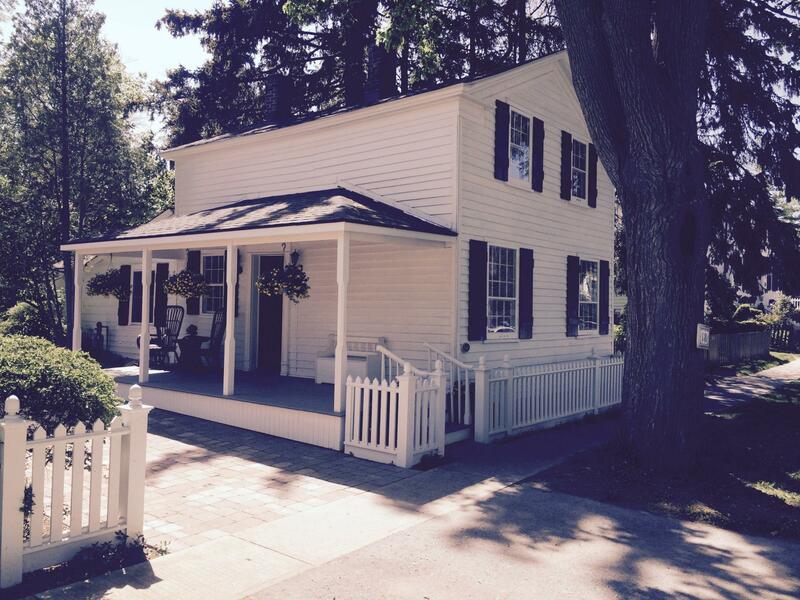 Plan your next vacation at the School Masters C1835 rental cottage. Feel like you've stepped back in time in this very original house. The Alexander McKee House has been lovingly restored and furnished to offer guests a relaxing stay in historic Niagara-On-The-Lake. Located on the most gracious street in the heart of old town. This is a perfect opportunity to experience all that Niagara-On-The-Lake has to offer. 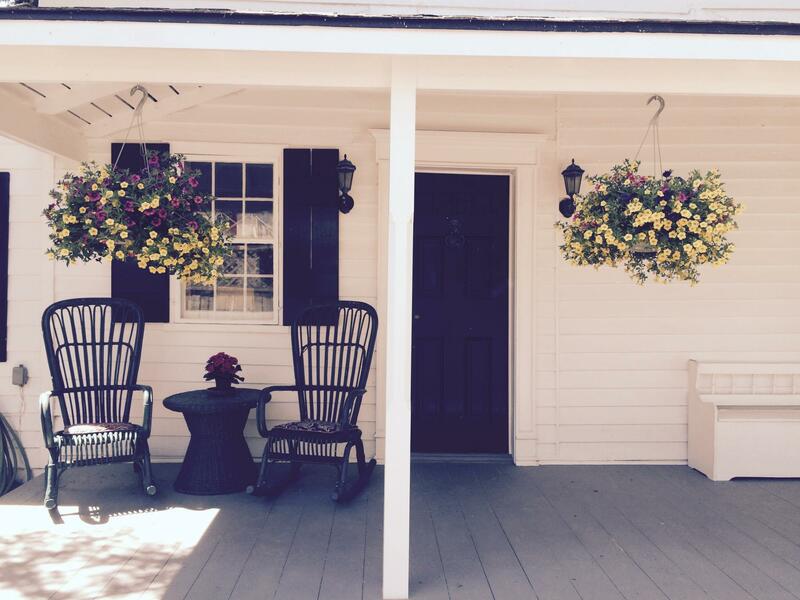 During your vacation, sit and relax on the porch and enjoy a glass of wine while you watch the carriages go by. 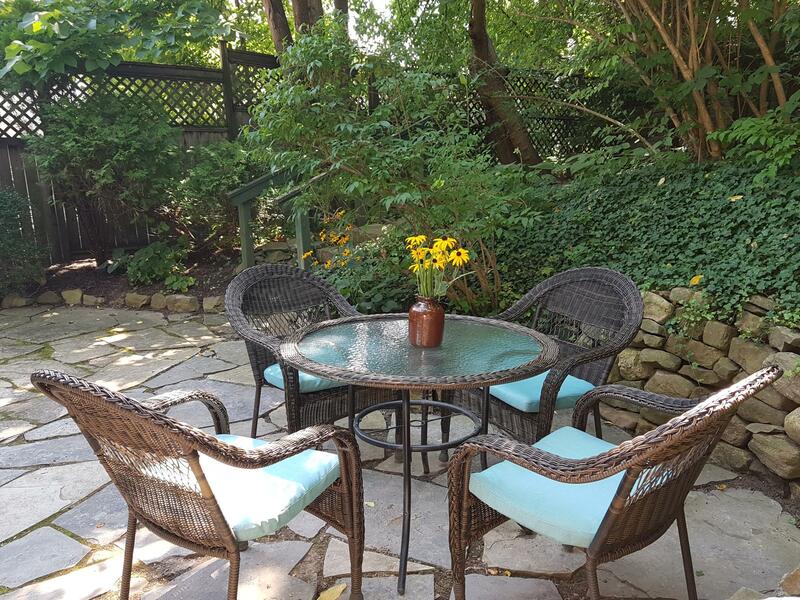 Or enjoy the private outdoor seating in the backyard, surrounded by beautiful gardens and flag stone patio. 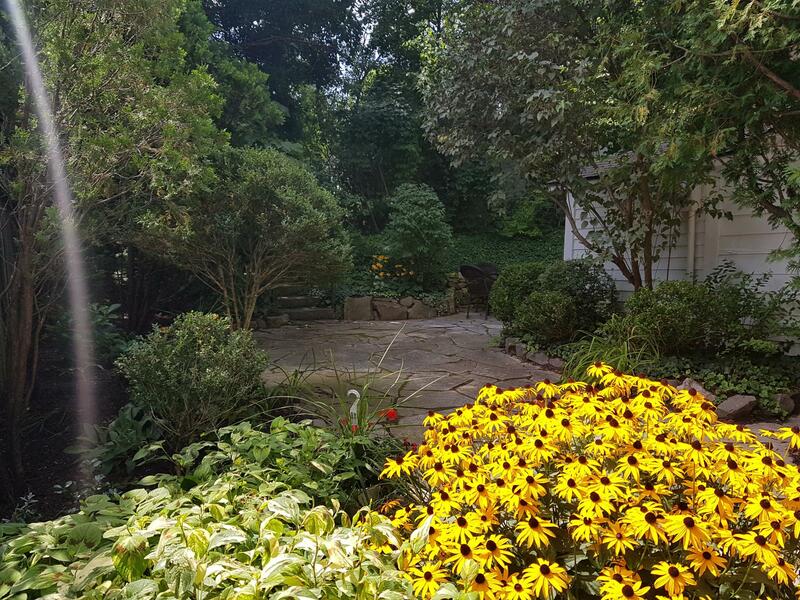 The Alexander McKee House is a short stroll to Queen Street, fine dining, village shops, three live Shaw Festival Theatres, Niagara Golf Course and Fort George National Historic Park. The rental cottage accomodates 4 people. The upper floor of the cottage offers 1 Queen bed and 1 Double bed. The cottage ground floor offers a fully equipped kitchen, charming dining room, living room with pull out sofa, bathroom and laundry facilities.